The Balkans, especially Albania, is a very interesting place. 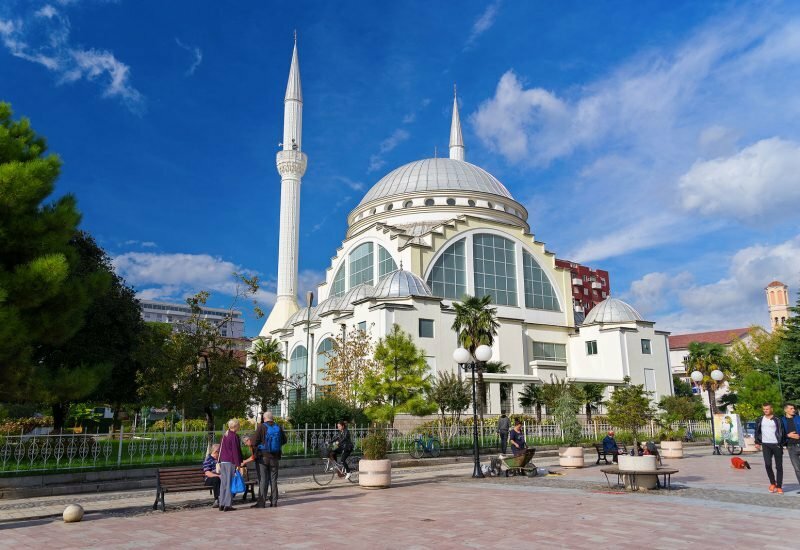 It's one of the only European nations with a predominantly Muslim population. It's not uncommon to see mosques with towering minarets with loudspeakers blasting away with afternoon prayers. 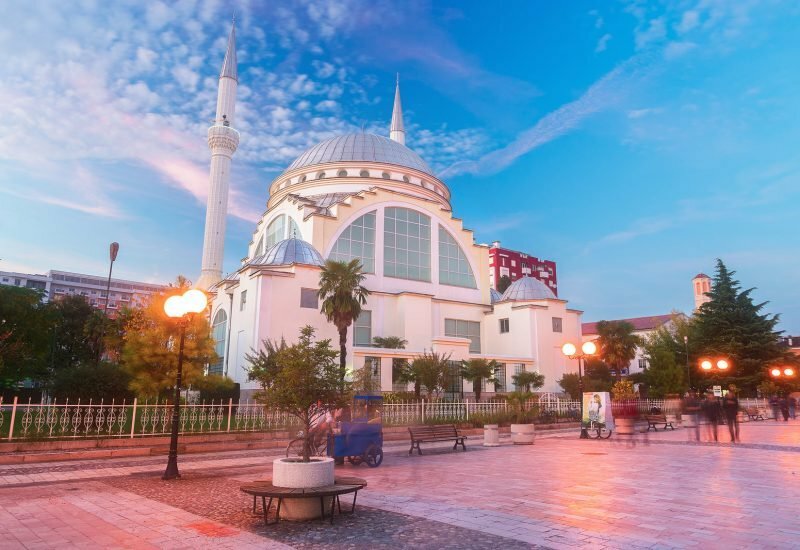 The country boasts a solid mix of Turkish architecture and ancient medieval fortresses. Regardless of your faith or religion, there's no denying the beauty of these mosques. The Ebu Bekr mosque dates back around from the 18th century. It was fully renovated and refaced in 1995 with monetary donations of Saudi Arabia. Visitors are welcome to go inside and marvel at the awesome interior and enjoy the meditative ambiance. On the outside, the building is beautiful and the surrounding park is clean and serene - which is a stark contrast to the busy and noisy streets nearby. There are several run-down businesses nearby and looks a little seedy at night. My hostel is just around the corner and a walk to this part of town is just a few minutes. Tirana is not a big city and there's really no much going on outside of the Rozafa Castle and the Lake. The Ebu Bekr Mosque, however, did give me a few awesome photos during sunset as pictured in the first photo above. If you're in Shkkoder, Albania you might as well take your shoes off and wander inside. Tourists are allowed and the people there are very friendly. Nice bright colors really brings a great feel to the building. Like the longer exposure to still show people around but diffuse the attention. There were other ways to get rid of the people, like expose blend them out :) But I liked the life it brings to the scene. the night version looks so pretty ! Congratulations @adonisabril! You received a personal award! Congratulations adonisabril, you made 7 posts on 7 different days using Share2Steem ! Wow, it looks so nice.